This soft, plush cat toy can be filled with catnip, which gives off a smell that is irresistible to cats. The resealable bag inside the toy is easy to fill and empty using the Velcro fastener. This soft, plush cat toy is filled with catnip, an irresistible scent for cats. The resealable bag inside the toy is easy to fill and empty using the Velcro fastener. The catnip provided is a high-quality North American product. When the smell from the catnip fades, simply replace it. If the toy gets dirty, it can be machine washed. Remove the catnip before washing. To keep unused catnip fresh, we recommend that you keep it in the freezer. Approximately 15 cm, including the tail. See more toys from the KONG for cats range. 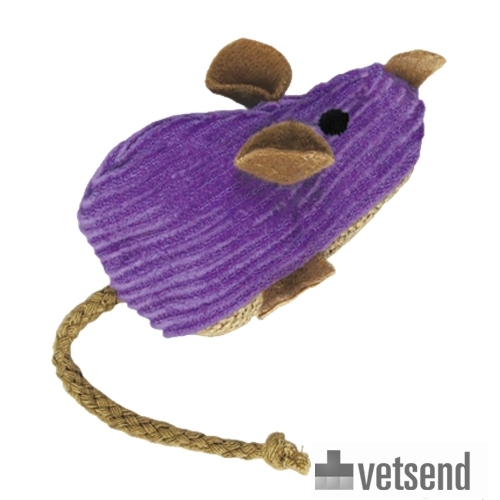 Have you used KONG Cat - Corduroy Mouse before? Let us know what you think about this product.